Feiwel & Friends, 9781250057075, 400pp. Chris O'Dowd is an award-winning actor and writer from the barmy town of Boyle in Ireland. Chris did some good acting in Bridesmaids, The IT Crowd, Gulliver's Travels and Of Mice and Men. We won't mention the films where he did bad acting. He has a dog called Potato and a cat who shouts at him for no reason. He studied at University College Dublin and the London Academy of Music and Dramatic Art. He graduated from neither. 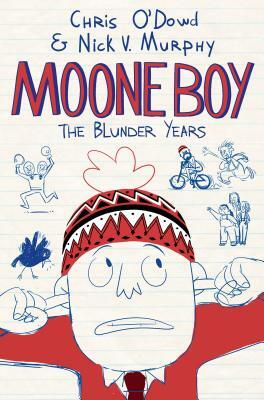 Chris created Moone Boy to get revenge on his sisters for putting make-up on him as a child. He co-wrote the Sky TV series and this book with his good friend Nick Murphy, who is a lot older than Chris. Nick V. Murphy is a writer from Kilkenny, Ireland. (The V. in his name stands for Very.) He went to Trinity College Dublin to study English and History, but spent most of his time doing theater and running away from girls. This was where he bumped into Chris O'Dowd, who was out looking for pizza. After college, Nick focused on writing, which was the laziest career he could think of, as it could even be done while wearing pajamas. He wrote a few things for TV, then a movie called Hideaways, before co-writing a short film with Chris called Capturing Santa. The pajama-wearing pair developed this into the comedy series Moone Boy, which won an International Emmy for Best Comedy.